Spring is undoubtedly the best and the beautiful of all the seasons; it is the period in which nature comes out the rigors of winter to open life on a new cycle, a cycle of rebirth of another floral carpet. The usual spring is on March 21st but the Berber‘s Spring starts on February 28th, which corresponds to the 15th of the month of Furar according to the Amazigh traditional agrarian calendar. It is known in Tamazight language as "Anekcum N Tefsut" (the beginning of spring). The Spring festival or celebration is a part of the Amazigh identity and heritage that they hold for centuries and that they hope to become an official holiday in Algeria. 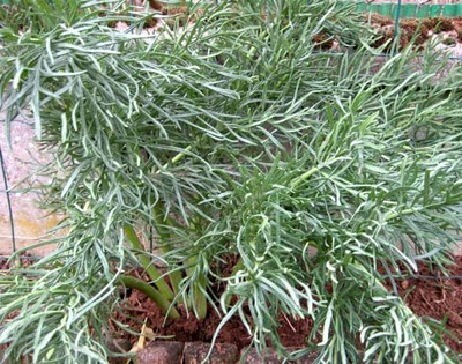 In spring in the forests of the mountains of Kabylia grows a plant called "Aderyis" (Thapsia Garganica) which is a typically Mediterranean poisonous plant that grows in North Africa (Morocco, Algeria, Tunisia and Libya), Portugal, Spain, Italy and Greece. It holds different names such as Aderyis, deryass, bonafaa…It grows in clean and sunny places in steppes, lowlands and low mountains. It is a poisonous plant so one should be careful while picking it otherwise it inflates the hands. It is a perennial plant with height that varies between 90 cm and 140 cm. It is its root that is used in the preparation of the traditional dish of this festival. This root has therapeutic virtues as it has been proven like strengthening the immune system, fight allergies such as hay fever. It has many other virtues, especially that of curing all intestinal diseases. 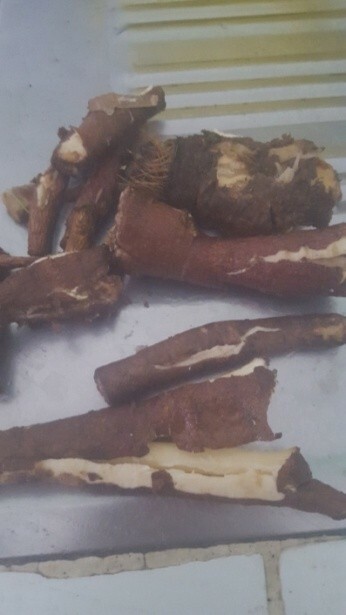 It is used in inhalation herbal medicine against colds. It has even anti-sterility virtues. In Morocco, the reputation of the effectiveness of the plant in the treatment of female infertility is so great that a Moroccan proverb says "li ma waldet bederyass, ghir taqtaa liyass", which means " the one who has failed to give birth through Thapsia, must lose hope of giving birth one day ". The kabyle people celebrate the entrance of Spring with a common and the most consumed dish in Kabylia ‘Sseksu N Uderyis’ (couscous). 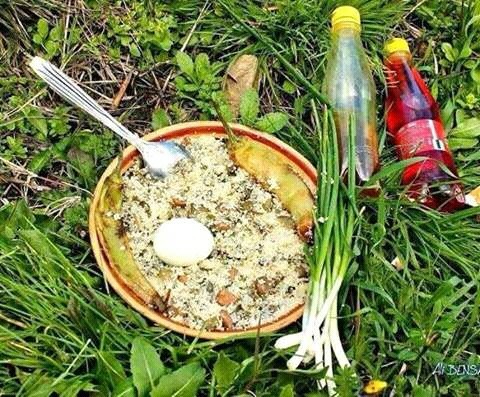 It is customary among Amazighs to welcome spring with such dish. It is a dish that is part of the culinary heritage of Algeria. Sseksu N Uderyis has also a ritual character; it is above all an opportunity to get together as a family. To prepare it, they immerse the roots of “aderyis” in water that will be boiled and they add seven plants (olive leaves…) to the boiled water. The magic of the number seven, refers to the universal symbolism shared by the Berbers since the time of the Pharaohs, where was instituted the "feast of seven days and seven nights". They also add eggs, potatoes and onion according to the family members. They steamed the couscous on it in order to get all its virtues. 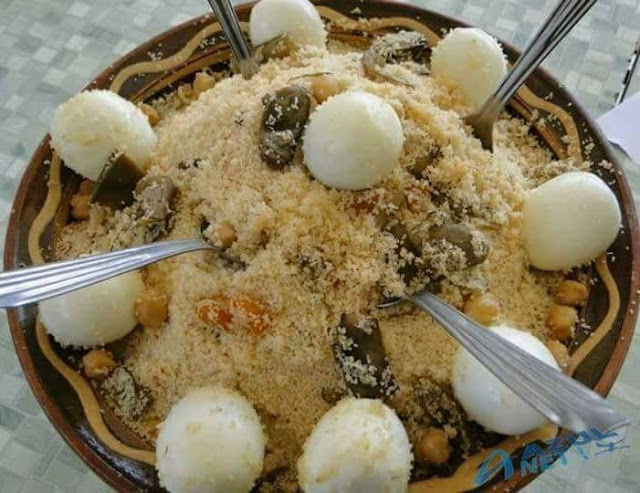 The couscous is slightly tinged with red pepper, coated with olive oil ,then embellished with small vegetables cooked with this steam and decorated with boiled eggs and sprinkled with icing sugar that the Kabyle people are accustomed to taste. This delicious plate is eaten without drink that is should be avoided for 12 hours after consumption, but an orange in case of thirst is allowed.